Simple fixes that will make your homes more secure. I am a survivor of this heinous crime and it really hits home for me. I do not write this an expert or researcher, but from a personal place of fear and vulnerability. I write from the perspective of a scared little kid, being awakened to the bang of a gunshot and then police interviews that went well into the night. Memories that will never leave me. The sight of a bullet hole in our staircase and blood in my home haunt me to this day. On this night, our home was no longer a sanctuary or castle, it was no longer a place that shielded the bad stuff. That night it came to be henceforth known as our neighborhood crime scene. One million people in the U.S. come to know this fear, sense of victimization and violation, as an alternate reality every year. Home invasions are on the rise and this is becoming all too common place. Criminals are now using more sophisticated ruses to gain entry into homes or in many cases, storming front doors by force. Whether posing as door to door sales people, survey takers or utility workers—these violent crooks are getting inside the front door and wreaking havoc. Fast forward to 2016, FBI Statistics shows violent crime is up and that criminals have even less regard for life. There were 386.3 offenses per 100,000 inhabitants. Property Crime was 2,450.7 offenses per 100,000 inhabitants. The violent crime rate rose 3.4%, while property crimes decreased 2.0 percent. In 2016, there were an estimated 1,248,185 violent crimes. Robbery increased by 1.2 percent. Murder and manslaughter offenses increased by 5.1 and 4.9 % respectively. Federal Bureau of Investigations. (2016, September). Retrieved September 3, 2018 from https://www.FBI.gov. As the data suggests, this trend is only getting worse! And the criminals are getting bolder! And they fear conflicts with home owners less. This is really bad news for law abiding citizens. According to the U.S. Department of Justice of those one million plus home invasions that occur each year—11% remove a door or window while the occupants are home. The average loss in these occurrences is $2,000. Quantifying the loss with a dollar value, does not accurately cover what has been really taken from the victim. You cannot put a price on feeling less secure in your home. You cannot put a price on being violated and victimized. You cannot put a price on never being able to feel safe in your home. To people who have not been victimized in their homes, it is a place of peace, it is your sanctuary— it is the proverbial castle. But when violent criminals breach your home, that peace is gone and in most instances something you never get back. I speak from experience. As a kid my home was broken into when we were asleep. The bedrooms were on the second floor and a man gained access into our home through a bathroom window on the first floor. He was making his way up our stairs when my dad intercepted him before he could do any harm to our family. This was traumatic for me and is something as an adult, and the protector and head of my own family, I still carry around with me. In the home I share with my wife and daughter, some 40 years later, I am hyper-vigilant and may even border on going too far to make sure we are safe and not vulnerable. But the research seems to back up my paranoia. Extensive studies have been done that show if an intruder comes into the home when you are there, more than likely he has intentions of doing bodily harm. 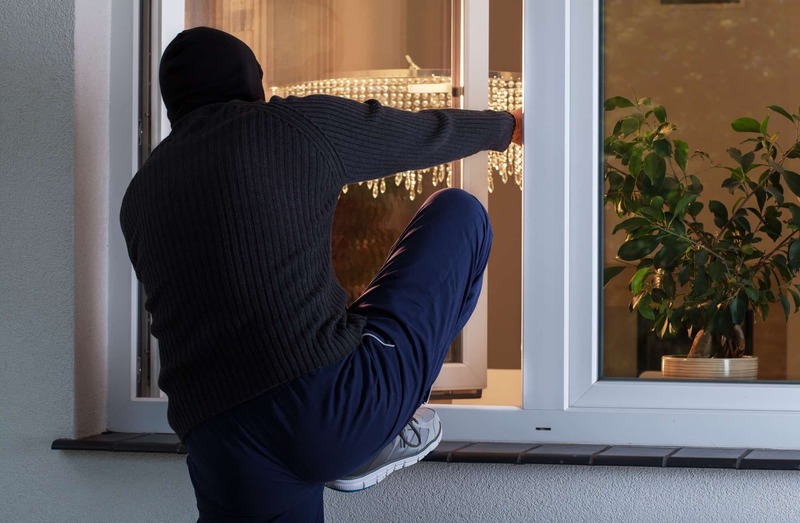 95% of all home invasions require some sort of forceful entry, which could be breaking a window, picking a lock, or the not so subtle act of kicking in a door. Burglary Statistics: The hard numbers The National Council on Home Safety and Security. (n.d.). Retrieved September 24, 2018, from https://www.alarms.org/burglary-statistics/. You just do not take on these added risks and jeopardize being identified for a run of the mill burglary. Most burglars want no contact with their victims. They want to get in and get out with cash or stuff they can convert easily to money to feed drug addictions. And then there is the home invader- they hunt their prey, stalk and even surveille. They are a completely different animal from the common burglar. It would surprise the majority of people to know that most home burglaries occur between 10am to 3pm. But home invasions occur any time day or night. 44% of robberies involve a firearm. 42.5% involve strong-arm tactics. Forcible entry is used in 58% of home invasions. Statistics reveal that 10pm is the most common time for home invasions. After my family’s break-in, my dad had a burglar alarm installed, upgraded deadbolt locks, had a security door and basement window bars installed and put cinder-blocks in our first floor bathroom window. He took every precaution at the time to secure our home. 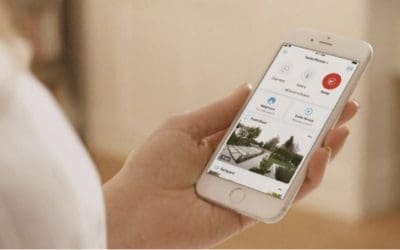 Recent data supports his actions at the time- were right on point; homes are much more secure with a wireless alarm system and deadbolt locks, as well as good outside lighting. Home security experts state that homes without security systems are up to 300% more likely to be broken into. You guessed it, this was the first home defense thing we installed in my current home! Criminals don’t want to make too much noise (a house alarm ruins their plans for your home). They don’t want to get hurt, and armed home owners are proven to deter criminals. In 7% of all household burglaries, a household member experienced some form of violent victimization. This translates to about 266,560 violent victimizations during household burglaries. According to the blog, Fortifying your Home, 34% of home invasions happen at the front door. 22% are at a back door. 23% of incidents happen at first floor windows, and 9% of home invaders gain access through the garage. The Front door is the number one security vulnerability we as Americans face. This is a relatively easy fix. The Family Handyman urge just replacing the standard screws on the strike plate that come with door locks, with 3” screws—you can reinforce the door, making it as strong as a steel door. We are all somewhat vulnerable in our homes, but these simple and inexpensive steps can help to fortify your home! As a former victim, I have taken almost all of these steps and even some not mentioned here. I invested heavily in cameras around the perimeter of my home. We have two of the Ring Floodlight Cam, a Ring Spotlight Camera, and the Ring Doorbell. We set up a safe room, with a reinforced door. We have firearms in the home, and we have a monitored alarm system with motion detection that sends the police first and asks questions later. Peace of mind was and is the goal. I will never get that pre-invasion innocence back, but I can make sure to protect my home so that my wife and child never know this fear first hand. Wow!! Thanks for this post, it’s a scary world we live in! Going to use your tips to secure my house! Awesome! Be safe! Thanks for the comments! Thanks for the comment Erica! Yes such a simple fix- swapping out current screws for 3” wood screws can offer protections almost equivalent to a steel reinforced door! Great tips and I’m going to make some updates this weekend! Pretty great post. I simply stumbled upon your blog and wanted to mention that I have truly loved surfing around your blog posts. In any case I’ll be subscribing on your rss feed and I hope you write again very soon!